When working with this theme framework, you're going to come across the term "Sidebar Layout" in many different places when building your site. Across your entire site, you can choose one of six ways you'd like your sidebars to be arranged. 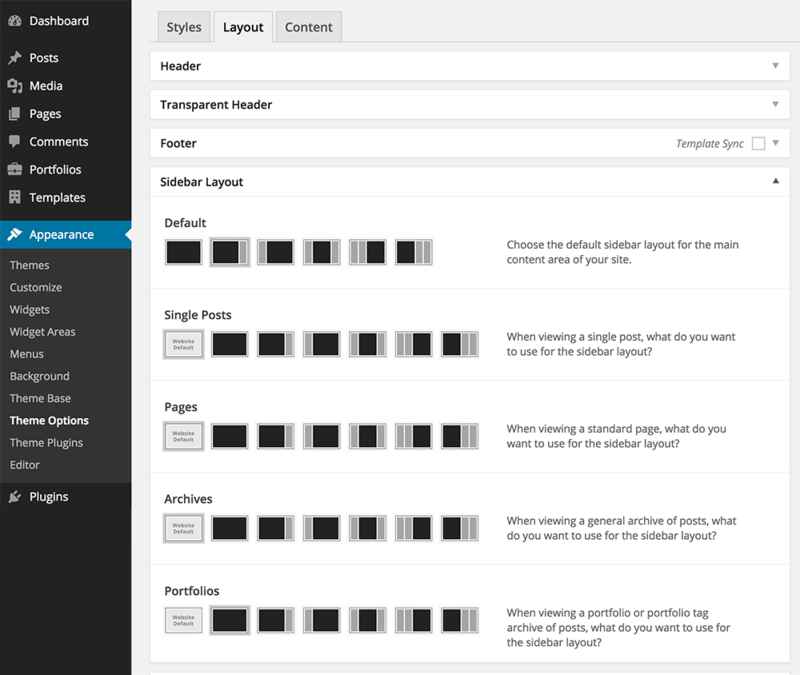 At Appearance > Theme Options > Layout > Sidebar Layout, you can select site-wide sidebar layouts. Note: You can also drill down and set sidebar layouts for individual category, tag, and author archives. See article, Archive Options. 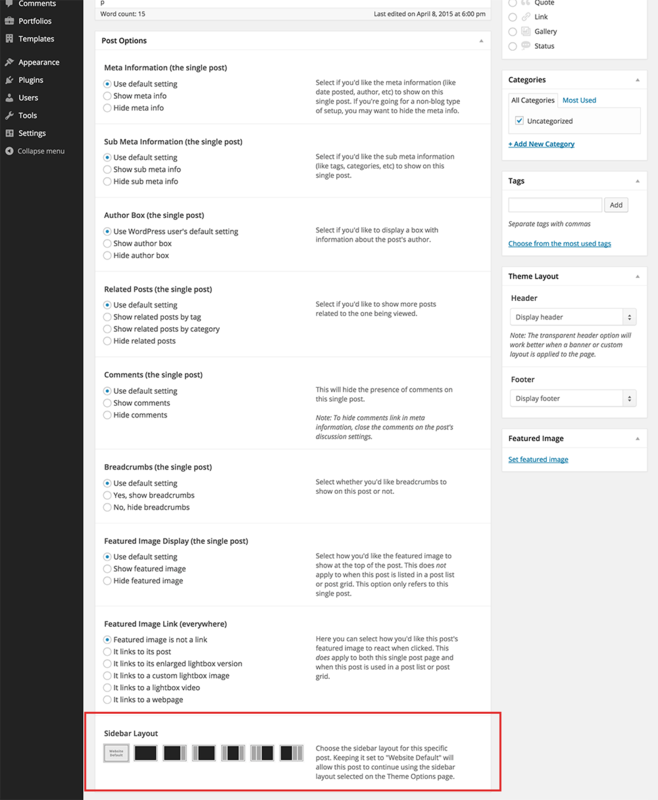 When working with a page, the sidebar layout is separate from the page template. This means that you can select any of the available page templates, and apply any sidebar layout to any one of those page templates. You'll select the sidebar layout for the current page beneath where you'd normally select a page template. For posts, you'll find an option to change the sidebar layout of the individual post under the Post Options meta box.